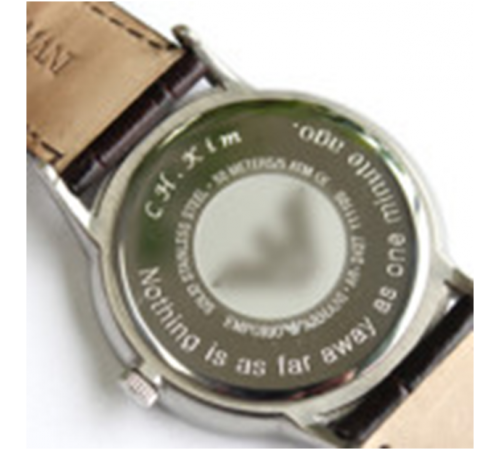 Magic-5 Engraving Machine Magic-5 PREMIUM is a multifunctional metal engraving machine able to engrave on pendant, inside diameter of a ring, outside diameter of a ring with beautiful and indelible letters or patterns quickly and easily. Its noiseless, compact size and neat design enable anyone to use it anywhere and its simple instructions make anyone capable of engraving things quick, easy and beautifully. 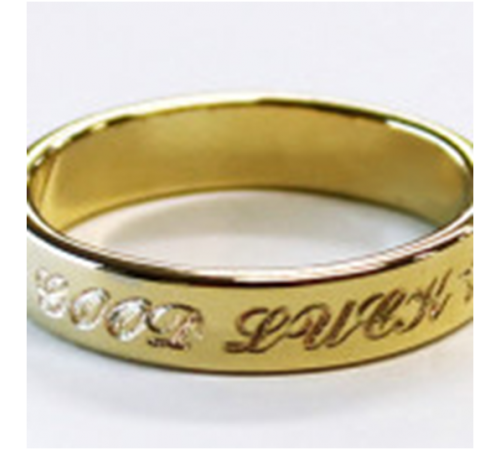 USE Engraving on inside/outside of ring, jewelry, medal, pendant, identification tag (pet tag), necklace for child loss prevention, lost-and-found badge and various metal materials Manual pantograph machine users, manual hand-piece users CHARACTERISTICS It’s given with a finger for fastening rings of various sizes and styles. It’s used for engraving in every metal material such as gold, silver, copper, stainless etc. It engraves in various fonts including cursive script, Gothic type. It engraves symbols, Chinese characters, patterns, and all sort of marks.. 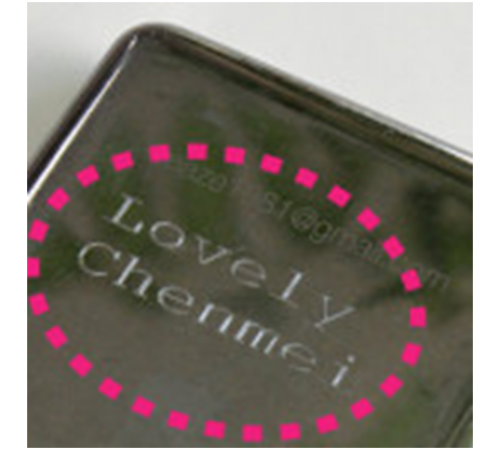 The material of engraving never to be discolored. It engraves on a curved surface. Engraving at less than a minute -ultrahigh speed. It’s almost noiseless engraving machine. Its laser pointer points to the area of engraving for easy and errorless engraving. It’s given with S/W for easy use. SPECIFICATION Size 380mm(W) x 260mm(H) x 290mm(D) Resolution (XY) 0.005mm / (Z) 0.00125mm / (A)0.028125 Tool Diameter 3.175mm Max. engraving area 120mm (X) x 110mm (Y) x 30mm (Z) Weight 25kg Tool type Diamond Power Consumption 21W Power Supply AC 100-240V 50/60HZ Rotary Outer Diameter 32mm / inner Diameter 34mm ..
Magic-5 PREMIUM is a multifunctional metal engraving machine able to engrave on pendant, inside diameter of a ring, outside diameter of a ring with beautiful and indelible letters or patterns quickly and easily. Its noiseless, compact size and neat design enable anyone to use it anywhere and its simple instructions make anyone capable of engraving things quick, easy and beautifully. It’s given with a finger for fastening rings of various sizes and styles. It’s used for engraving in every metal material such as gold, silver, copper, stainless etc. It engraves symbols, Chinese characters, patterns, and all sort of marks..
Engraving at less than a minute -ultrahigh speed. 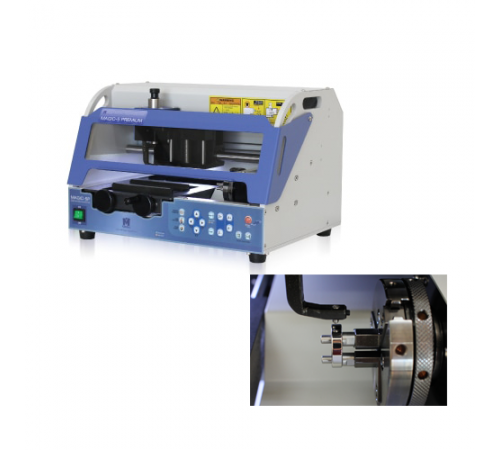 It’s almost noiseless engraving machine.